¡@ The Japanese colonization of Taiwan was divided into three periods, a coincidental reflection of the different styles of Taiwanese reactions to Japanese rule. ¡@Although the Republic of Formosa had been officially terminated in October 1895, Taiwanese guerrilla resistance elements were not exterminated until May l902 when Lin Shao-mao was executed, though rebellions continued to erupt intermittently from 1907 through 1915, when Yu Ching-fan was executed. ¡@During this period, military governors were sent to Taiwan with absolute executive, legislative and judicial powers conferred by the Japanese Diet through the "Law No. 63." This period witnessed more than 100 uprisings in Taiwan, with 5,884 persons convicted and 4,430 of them executed in addition to tens of thousands martyred anonymously. ¡@ Those military governors, however, laid a solid foundation for the subsequent effective Japanese colonization of Taiwan, thanks to the initiatives of Goto Shinpei, director in charge of civil affairs (1898 - 1906) at the Taiwan Governor's Office. ¡@On civil affairs, Goto phased in the so-called "Principle of Biology" (gradual introduction of Japanese system and culture), beginning with an extensive "investigation of the old Taiwanese customs." It was based on the results of those investigations that old Taiwanese laws and regulations were revised and new ones were enacted to pave a way for smooth Japanese colonization of Taiwan. ¡@On economic affairs, Goto implemented three major infrastructure projects: (i) scientific survey of flat lands for tax collection purposes, (ii) railroad construction to connect the west coast formerly separated by east-west rivers, (iii) modernization of Keelung and Kaohsiung harbors with railroad terminals. ¡@Following the end of the World War I, there was a wide spread of nationalism in the Third World. For example, the eruption of the Korean independence movement in 1919 forced Japan to adopt a new policy of "Japanese extensionism" to extend her cultures to her colonies. Under such a new policy, civilian governors of Taiwan were appointed. ¡@Since l920, the Japanese Empire began to phase in a public policy of "Industrial Japan Proper and agricultural Taiwan" to meet the needs of the growing population in Japan. In 1930, in line with her Greater East Asia Co-Prosperity Sphere, the empire further introduced her industrial plan to satisfy the requirements of her military expansion to China and Southeast Asia, thus forcing Taiwan to play the role as a war base. ¡@ This period saw eruptions of non-violent resistance in Taiwan. The New People Association, formed in 1919 to lobby the Japan Diet for the repeal of the Law 63 and the establishment of an independent Taiwan Parliament, existed from 1920 to 1934. The Taiwanese Cultural Association was set up in l921 to send articulate intelligentsia to make itinerant speeches throughout the island to enlighten the Taiwanese. Subsequently, right-wingers of the association broke away and established the Taiwan Commoners Party in l927, the first of its kind in Taiwan. 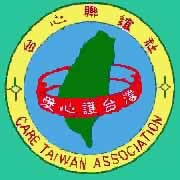 Associations established in the ensuing years included other civic organizations, such as Taiwanese Federation of Farmers Unions, Taiwanese Federation of Workers Unions, and even Taiwanese Communist Party. But those organizations were either mercilessly suppressed or banned by the Japanese colonial government. The last one that became dissolved in l937 was the Taiwanese Alliance for Local Autonomy. ¡@ The Taiwan Governor's Office was headed by militarists once again since l936 when the Sino-Japanese War gathered momentum. Under the Japan's "Super National Defense" and "General Mobilization" policies, Taiwan was placed in the wartime system of Japan during World War II. ¡@For the general mobilization purposes, the Japanese Empire, following its radical assimilation policy, forbade Taiwanese from maintaining their old customs and encouraging them to speak the Japanese language and to use Japanese-style names. In l941, a so-called "Tribute to Emperor Society" with island-wide branches was formed to enforce the assimilation policy. ¡@Taiwan became a source of soldiers, too. Volunteers were recruited and sent to the war effort since 1942 and a mandatory military service system was introduced in January l945, when 207,183 soldiers mobilized, 30,304 of which died in actions. World War II ended on August 15, l945 when the Japanese Emperor Hirohito announced unconditional surrender and abdicated Taiwan. Thereupon, Taiwan fell into the hands of another foreign regime, an unprecedented barbarian one in the history of Taiwan.